January 2019 - Dates for the 2019 programme have just been announced. It will run over two weeks from 14-26 October. Only 25 places are available each year. 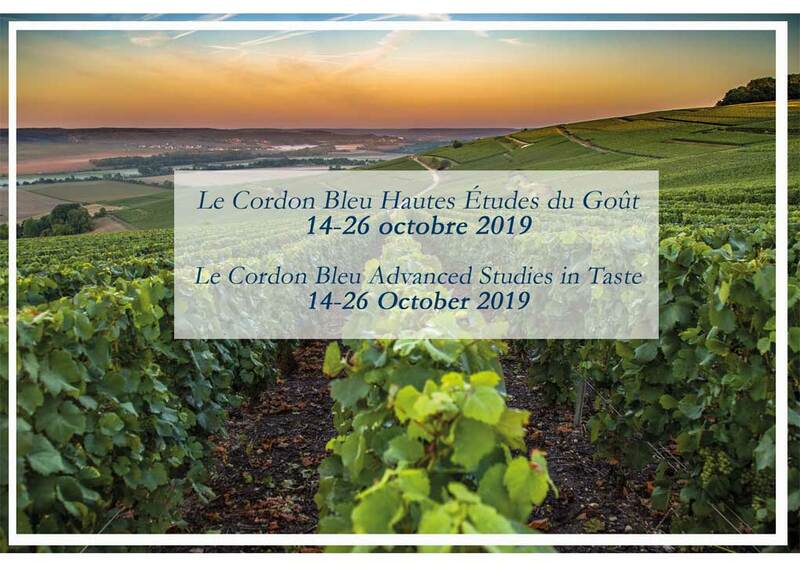 The first week, students will study at Le Cordon Bleu Paris and the second week students will travel to Champagne, and will be based in Reims at the University of Reims Champagne-Ardenne. France's finest experts in all things gastronomic, including university professors, renowned researchers (INRA, CNRS), food experts will deliver intensive and informative classes, workshops, food and wine pairing dinners, visits and tastings to explore the cultural, historic, scientific and economic aspects of taste. The course includes lectures on neurophysiology of taste, medieval gastronomy, food and cultural identity, contemporary trends in food and dining including ”Note by Note” cuisine and the psychology of taste. Other highlights include an early morning guided visit of the Rungis International Market (the largest wholesale market in the world for fresh products) hosted by Guy Chemla, professor at the University of La Sorbonne, and an exclusive tasting workshop hosted by G.H. Mumm Champagne. *Admission requirements: applicants must be over 18 years old and have either professional experience and/or tertiary qualifications. Limited places are available annually. Lectures in French and English (real-time translation provided).